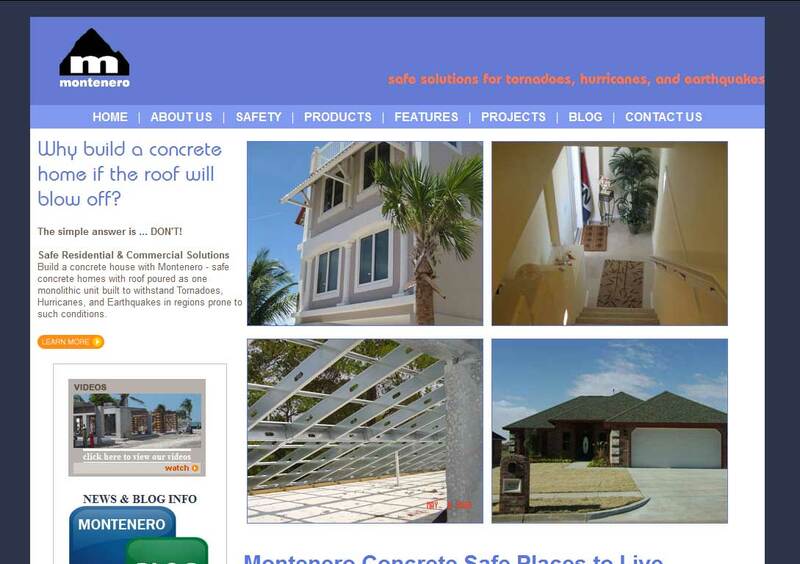 DESCRIPTION: The Montenero US website was designed and developed by PTC Computer solutions. Safe Residential & Commercial Solutions. Build a concrete house with Montenero – safe concrete homes with roof poured as one monolithic unit built to withstand Tornadoes, Hurricanes, and Earthquakes in regions prone to such conditions. You can find out more by going directly to their personal website, www.montenero.us/, or contact them directly at info@montenero.us or (800) 566-0546.